– Helps To Relieve Joint Pain Caused By Osteoarthritis. 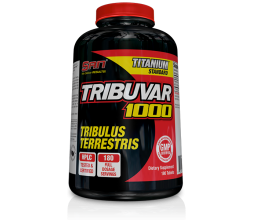 – Rapid Nutrient Uptake Than A Tablet Form. 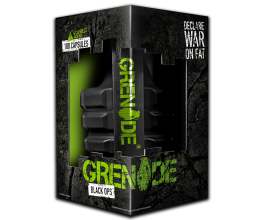 – Improves Movement Through Lubrication Of Affected Joints. – Protects Against The Deterioration Of Cartilage. – Reduces Pain And Inflammation In Joints Affected By Osteoarthritis. 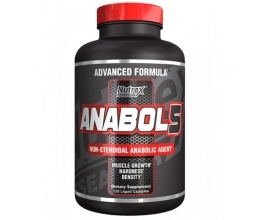 – Helps Rebuild And Maintain Healthy Cartilage. – Supportive In Athletic Injuries. 1. GELAPRO™ provides your body with proline and glycine, two important amino acids for cartilage producing cells (chondrocytes) and bone forming cells (osteoblasts) for making structural proteins. A lack or excess of physical activity, injury, age, or low availability of nutrients can negatively influence these functions. Gelatin has been shown to be supportive for joints health through several studies (1, 2, 3, 4), preventive for athletic injuries (5) and safe nutrient even for long use. 2. ULTRA-MSM™ is organosulfur compound that occurs naturally in some primitive plants and is present in small amounts in many foods and beverages. Recently, MSM is shown to have some beneficial effects for milld-moderate joints pain both on animal and human models (6, 7). 3. Glucosamine Sulfate is a precursor for glycosaminoglycans which a major component of joint cartilage.Recent study of 318 people has proven glucosamine sulfate effectiveness in relieving joints pain (8). 4. Chondroitin Sodium Sulfate – is a sulfated glycosaminoglycan. It is an important structural component of cartilage, providing it with much of its resistance to compression that can be beneficial for intensely exercising athletes (9). Studies have shown that chondroitin sulfate is very well tolerated supportive element for healthy joints (10), improving their mobility and removing pain symptoms (11). 5. ANTI 5-LOX™ contains Boswellia herb extract that has been used in traditional herbal medicine in India and African countries for the treatment of a variety of diseases. In terms of joint health this herb extract is recommended in people of joint problems of the knee with possible therapeutic use in other joints (12, 13). 6. ANTI-FLAM™ Curcumin is a unique highly soluble derivative from Curcuma Longa. It provides dual effect both supportive and anti-inflammatory for joint health (14). Recent studies also show that curcumin along with beneficial joint effect can provide antioxidant effects for your intense trained muscles (15). 7. Bromelain is an important agent for recovery after sport injuries and support bone health. It effectively removes pain (16), reduces inflammation (17) and brings your joints to normal condition (18). 8. Vitamin C Lower intakes of fruit and vegetables, and vitamin C were associated with an increased risk of developing joints problems (19). We use Calcium Ascorbate this form is not acidic and will not contribute to excess stomach acidity or irritation in sensitive persons. Calcium Ascorbate is synthesized from a combination of Ascorbic Acid and Calcium Carbonate to form Calcium Ascorbate. 9. Manganese is a known element for bone formation and stability (20). 10. Calcium – extra building blocks for your healthy joints.